Ooh, this is always a tricky one. Balancing work and home life seems to be a constant tug-of-war. So yes, perhaps it’s time to admit I need all the help I can get. And help is at hand, in the form of the contributed post below. Do you ever find yourself struggling to keep your work and homelife flowing smoothly alongside each other? 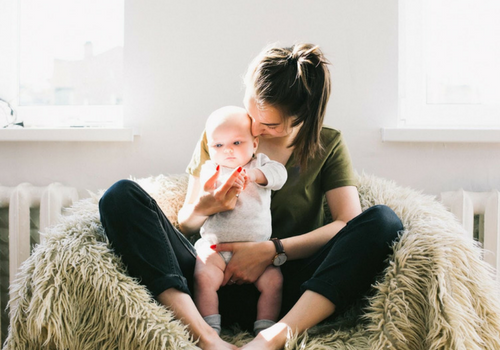 As a mother, it can be incredibly stressful trying to be the best parent you can be, while also ensuring that you’re also the best business woman you can be. It’s a balance that we all strive for and ensuring that you take care of the following can hugely increase your chances of success in both aspects of your daily life. While all Mumtrepreneurs want to keep down their overhead costs so that they don’t hemorrhage their money into their business, there is such a thing as false economy. Scrimping on technology costs may seem efficient at first but it can lead to everyday stresses such as not having the adequate devices to plan your schedules properly or having access to apps/programmes that you need. A big worry for mothers and business women today is that they find themselves juggling a lot of responsibilities. Investing in good technology can remedy this by making it easier to do tasks from planning a meeting to planning a family holiday. These devices and technology can include business-aimed group chat apps such as Slack which make it much easier to keep up with colleagues. And it doesn’t even cost a penny. An efficient way to balance your work and home life is to rely on well-established businesses to help you handle bigger projects. Businesswomen generally have a long list of things to do, day-in-day-out. This leaves important family events such as planning your child’s birthday a very big task that takes up a lot of time that you simply don’t have. Mixing business with pleasure can be a good thing if you co-brand with businesses that can be beneficial for you. If you want to have your children’s birthday party at a local venue like Kidz Discovery centre, for example, contact them first to see how you can help each other in a professional capacity. Et voila! A useful vendor becomes a business contact. Any good mother and businesswoman knows that keeping track of your finances is crucial to keeping a healthy balance in life. Striving to keep your home and family well kept and happy can seem daunting when taking into consideration the costs of general living. A fast and efficient solution is to consider micro-loans that are short-term and easy to pay back. Unlike larger and more intimidating loans, micro-loans are generally fixed interest and are more suitable for a busy lifestyle. Loans like these can be a useful tool for when you need a little financial boost, without the long-term arrangement and high interest rates. Social media is not only a great resource for parents, it’s a necessary business tool, so combining these uses can save the time and effort to help you restore your work-life balance. Every Mumtrepreneur comes across invaluable resources every day in her personal social media interactions but she rarely capitalises on them. These may come in the form of fellow parents that you speak to often, helpful blogs and people you follow online, or familiar brands that may be open to co-branding opportunities. You’d be astonished how many brands would be willing to help you out with some freebies in return for some promotion on your blog. Combine your personal and social media interactions and you’ll grow your business without expending much effort at all. When all else fails, it may be time to consider hiring a Virtual Assistant or outsourcing some your work. Alternatively, you could look at how much time housework is taking out of your work schedule. Hiring a housekeeper may provide just the relief you need. How do you keep your work and home life in balance? I am on the way to become a mompreneur, as I found the way to Wealthy Affiliate. It takes time, even more, when learning in a foreign language, but it is so much worth it to have the chance to improve my vocabulary at the same time. Above all I would emphasize how incredible the community is helping each other and for me particularly I wouldn’t miss having met so many power women, as you are. Hi Anne, that’s awesome. I agree wholeheartedly, becoming a Mompreneur is definitely not an overnight thing and having the support of the Wealthy Affiliate community is such a win. Really happy to hear you’re inspired by my journey too.